Free Music at Noon concerts are at 12:15 p.m. Wednesdays in the Butler Institute of American Art. 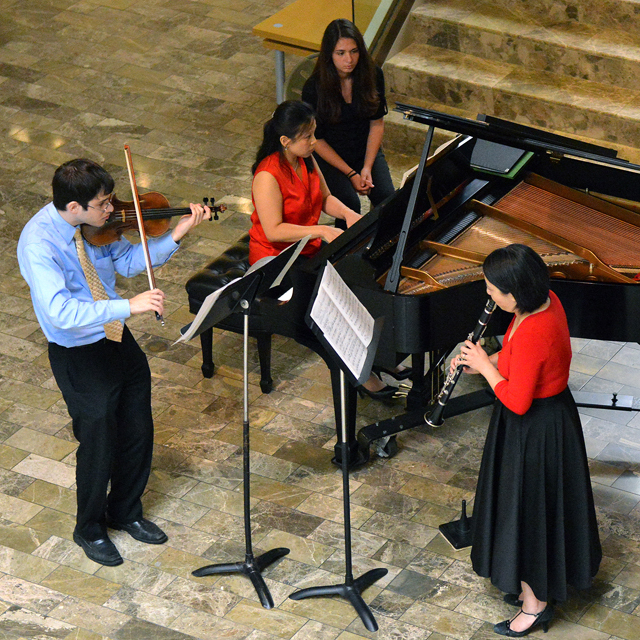 The Dana School of Music at Youngstown State University partners again this academic year with the Butler Institute of American Art to present free Music at Noon concerts. The concerts are 12:15 p.m. Wednesdays in the Butler. Sept. 7, Dave Morgan, Bass and Friends. Sept. 14, Faculty Artists’ Recital. Sept. 21, Flute Studio Recital. Sept. 28, Voice Department Recital. Parking is available in the Wick Avenue parking deck for a nominal fee, or in the Butler parking lot. For more information, call 330-941-2307.